The Australian government has committed to work in partnership to build the impact investment market to scale, in a move that is anticipated to “instil confidence and encourage participation”. It was announced in the budget papers on Tuesday that the government will work with Impact Investing Australia, to examine opportunities to leverage private sector capital and community sector engagement to build the impact investment market to scale in Australia and tackle issues that affect Australian families and communities. The move has been welcomed by the Australian Advisory Board on Impact Investing (AAB) and Impact Investing Australia. AAB chair Rosemary Addis said the government’s commitment sent a positive signal that would instil confidence and encourage participation. “A constructive partnership with government, which has a major role to play and is a key beneficiary of unlocking more private capital for public good, will help us all move faster and realise greater impact with and for Australian communities, ” Addis said. Impact Investing Australia CEO Sally McCutchan said they looked forward to engaging with the government to drive impact investing to scale, particularly around the “game-changing initiative”, Impact Capital Australia (ICA). “Designed as a catalytic, independent institution, ICA will unlock capital and capacity to tackle societal issues at scale,” McCutchan said. According to the Addis, the announcement, which builds on the $30 million social impact investing commitments in the 2017–18 budget, comes after a recent AAB field scan re-enforced the “strong appetite and potential” for impact investing from a broad set of stakeholders, including governments. “This kind of proactive partnership with government, including to look at game-changers like ICA will help to realise that potential for Australian communities,” she said. The budget papers also revealed $6.7 million would be provided over four years from 2018-19 to build the capacity of the Australian social impact investing sector. The funding is set to go towards undertaking longitudinal studies and the development of an impact framework aligning with the Australian government principles for social impact investing. According to the government, the framework will be published online, along with supporting resources for measuring the impact for social enterprises. The government will also provide $1.6 million over three years from 2018-19 to support the establishment of an expanded social impact investing trial, with funding included to evaluate the effectiveness of the trial. Both measures build on the 2017-18 budget measure titled Social Impact Investing Market – trials. McCutchan said greater capacity to understand the effects experienced by people and learn more about what works would help to deliver and improve impact. “We encourage the government to align their efforts with work already announced or underway including The Centre for Social Impact’s Amplify initiative and international activities including the Impact Management Project and Impact Genome Project,” she said. ​​Impact Generation Partners Co founder Amanda Miller told Pro Bono News the budget contained positive indications that the Australian government was committed to supporting the development and growth of the impact investing ecosystem and market in Australia. “Government has a critical role to play in nurturing and building the impact investing market to scale. It is encouraging to see in the 2018/19 budget a commitment from the federal government to work in partnership with Impact Investing Australia to examine opportunities to leverage private capital and community engagement to build the impact investment market to scale in Australia,” Miller said. She also welcomed the $6.7 million commitment to build capacity in impact management. 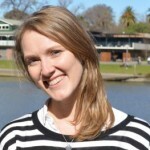 “A key characteristic of an impact investment is measurable social or environmental impact, and this funding provides an opportunity to build on the significant work already being done in this space, both in Australia and globally, and to give impact businesses and impact investors the tools to measure impact and engage in the space, thereby strengthening the impact investing market,” she said. Philanthropy Australia CEO Sarah Davies told Pro Bono News they welcomed the attention and support for growing impact investing and other social finance mechanisms, “in order to leverage and increase the amount of capital directed at positive social and community change”. Rob Koczkar, CEO of Social Ventures Australia, said developing an outcomes measurement framework, and additional funding for trials of social impact investing approaches, would also support social enterprises and not-for-profit organisations to scale up their social impact projects. “Private capital is never going to replace the need for ongoing investment by government in critical services, but there is scope for it to have significant impact in areas including affordable housing supply, social impact bonds (SIBs) and social enterprise development,” Koczkar said.